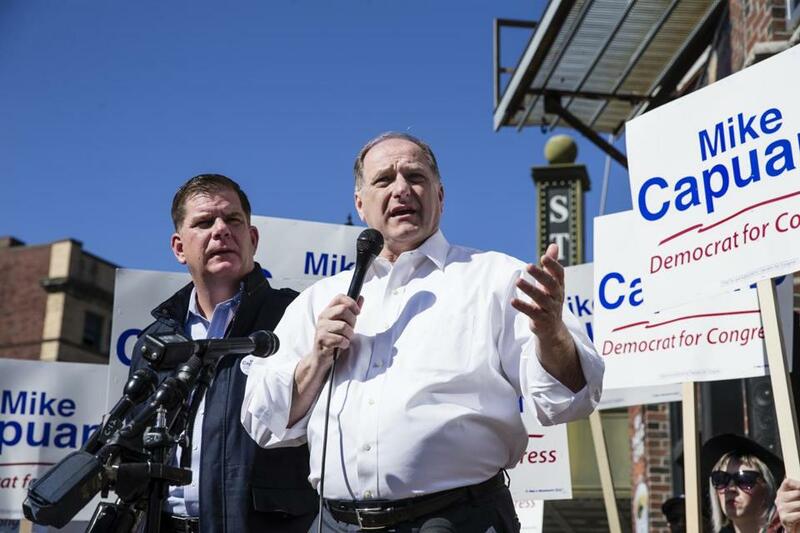 Boston Mayor Marty Walsh with Representative Mike Capuano in April. When Boston Mayor Marty Walsh backed Michael Capuano over Ayanna Pressley, he ended up — big time — on the wrong side of history. Change couldn’t wait. Soon, Pressley will be heading to Washington as the first African-American woman representing Massachusetts in Congress. She spun a stunning victory out of a bold pledge to change the face and meaning of leadership in Boston and beyond. As she argued her case with grace and eloquence, Walsh stood with Capuano, a white, male, 20-year incumbent who promised voters he would take over as chairman of a congressional subcommittee — if Democrats win back the House. Not exactly a pitch designed to go viral, and it didn’t. Walsh never understood the longing for representatives in Washington who strive for something more than seniority. He didn’t see — or chose to ignore — the revolution brewing in a majority-minority district that includes a big chunk of Boston. With the arrogance of every Boston pol who came before him, he believed his political machine could stop Pressley’s grass-roots movement. After all, he had crushed Tito Jackson, his African-American challenger from the last mayoral contest. Whatever the source of Walsh’s miscalculation, he’s the biggest loser, next to Capuano, in a race watched closely around the country. And the Boston mayor, who last month was chatting up Democrats in Iowa, knows it. As Capuano conceded defeat, Walsh tweeted his congratulations to Pressley, noting “The #MA7 district is in good hands with your vision and leadership.” Too bad he couldn’t see that earlier, but no surprise. Pressley won because, as she said in her victory speech, she “dared to do what Massachusetts Democrats are not supposed to do.” She challenged an incumbent. Such daring is unwelcome around here, especially from women. As Pressley told supporters, she knew she would be alone. She knew she would have to fight for every vote. And she also knew she “would be demonized as entitled and what women can never be — ambitious.” Capuano called it “identity politics,” code for saying all Pressley had to offer was gender and race — as if that weren’t enough for generations of white, male politicians. As predicted, Pressley got no love from the local Democratic establishment. Deval Patrick, who won election as governor back in 2006 with his own campaign message of hope and change, backed Capuano. So did US Representative Joe Kennedy III. Barney Frank, the retired Massachusetts congressman famous for a keen sense of his own importance, even dissed her run as “politics at its most egotistical.” Pressley’s support from elected officials came mainly from her female Boston City Council colleagues, and from Attorney General Maura Healey, who back in 2014 was endorsed by Pressley when the establishment wrote off Healey’s candidacy. 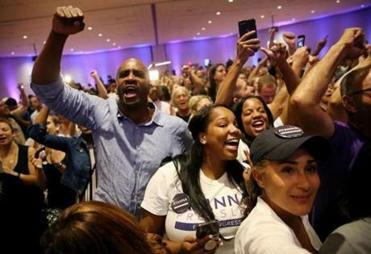 Ayanna Pressley’s historic win carries an unmistakable message: Massachusetts politics is changing. Candidates aren’t willing to wait their turn anymore. The power of incumbency is weakening. That kind of woman power is new for Boston, and it’s exciting. The glass ceiling has been tough to break. But finally, it’s happening. Pressley was one of six women of color on the Boston City Council. Her victory against Capuano should embolden more female politicians to dare to do what Massachusetts Democrats are not supposed to do. Like, maybe, take on a mayor? It also makes Healey the power player Walsh was sure he already was. Today, who looks stronger for the party’s next big gubernatorial run — the mayor or the AG? Walsh was on the wrong side of other races as well. He supported state Representative Jeffrey Sanchez, the highest ranking Latino lawmaker on Beacon Hill, who lost to Nika Elugardo, another female primary challenger. Meanwhile, Walsh endorsed district city councilor Josh Zakim over Secretary of State Bill Galvin, an incumbent who crushed his primary challenger. In that race, change could wait. Walsh, once again, was on the wrong side of it. A generational shift in politics finally arrives in Mass. In Boston, is there life after challenging the mayor — and losing?